Our journey started at the Courthouse TRAX Station. Today @SLCgreen joined @SLCMayorsOffice for a #ridewithHIVE transit adventure to the Central Ninth neighborhood in Salt Lake City. The transit field trip is part of a larger effort to educate residents about the benefits of riding transit, and all of the great things that can be easily accessed from your local TRAX or bus line. Speaking of which, have you been to Central Ninth lately? This up-and-coming Salt Lake City neighborhood is accessed at the 900 South TRAX stop, serviced by all three transit lines. 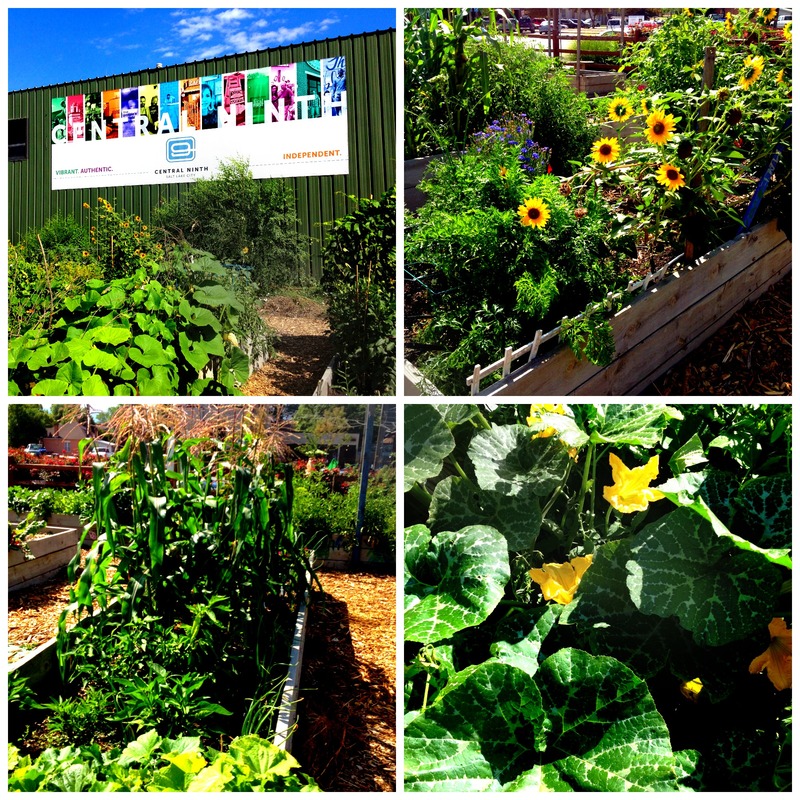 Hop off and you’ll see what we saw – vibrant local businesses and a thriving community garden to boot! 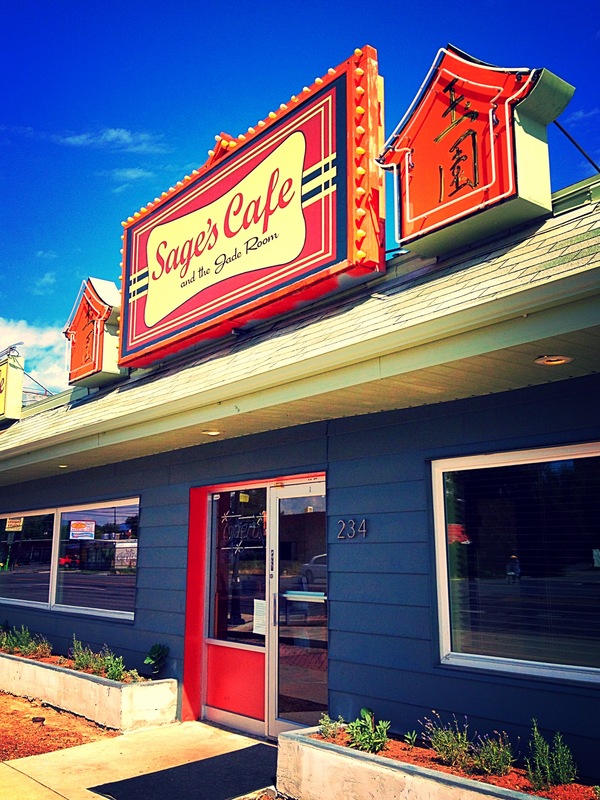 This Salt Lake City favorite dishes up delicious vegan meals, including brunch on the weekend. Also know that you’re supporting a local e2 business committed to reducing its impact on the environment! Don’t forgot to stop by Local First Utah, housed in the big green building. Local First can recommend great local businesses that can help you with whatever you need. Love to bike? We spotted this sign during our travels. 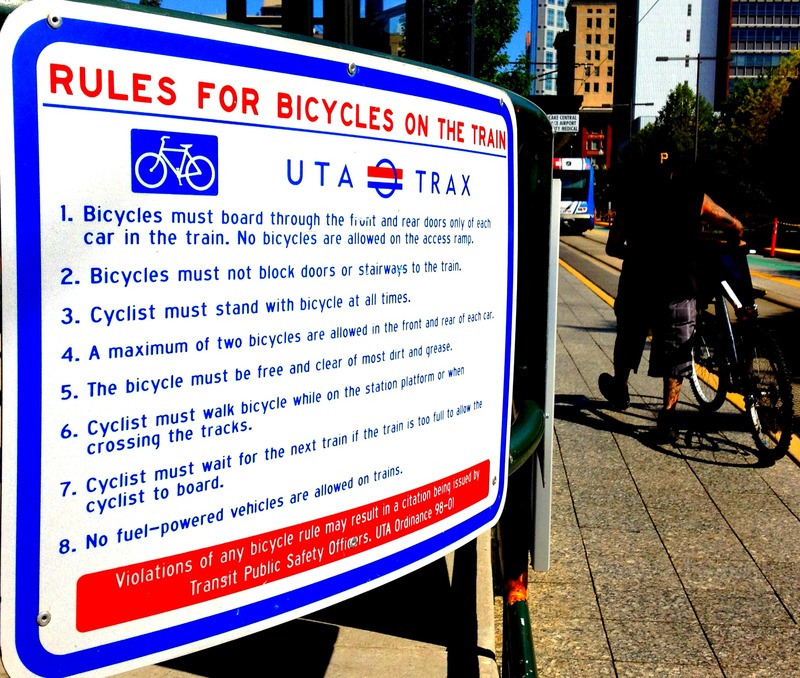 Bikes are welcome on all TRAX trains, just follow these simple rules. Are you ready to ride with HIVE? For just $360 a year ($30/month) you’ll have unlimited access to UTA TRAX, FrontRunner, S-Line & regular bus service! Now on sale for Salt Lake City residents. Plan your trip. Explore more of what UTA has to offer through Google Maps or directly through RideUTA.com. And stay tuned for our next transit adventure to Sugar House. We’re partnering with SmartTrips SLC to explore the new S-Line Streetcar! It seems like the city doesn’t want this pass around. 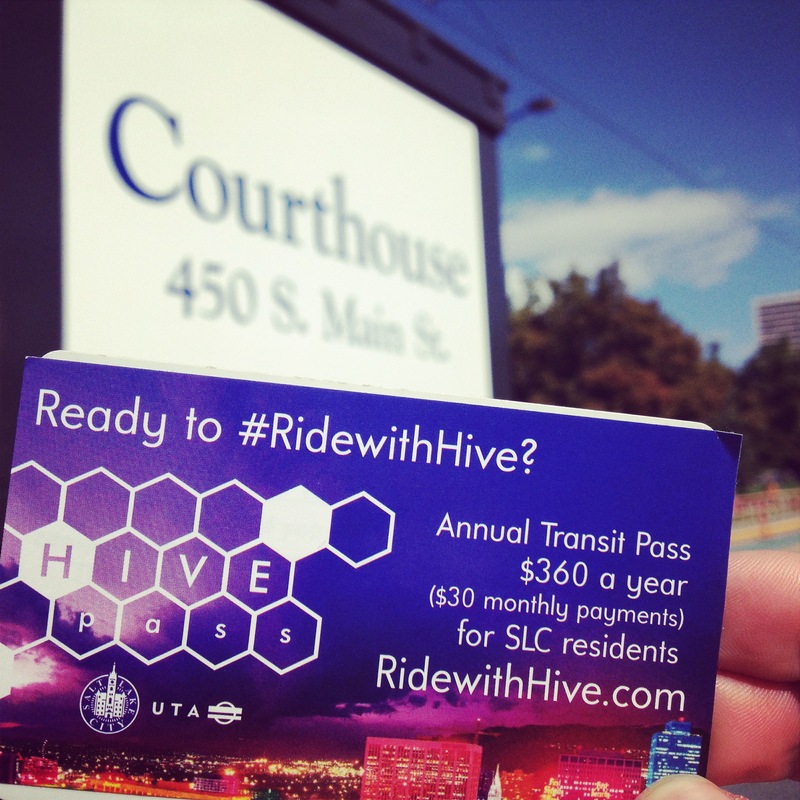 I recently moved into the boundary of SLC, and became eledgable for this pass. So, I took the afternoon off to head down to the city building to get one for myself and another for my daughter; who rides UTA daily. I was met with a RUDE “we can’t accept your proof of residency” even though I had supplied a valid, legal rental agreement. The problem came in the fact that this rental agreement had been done Online. Because of this, when it was printed it did not show the exact address. Online it did/does, and the printed version shows the name of the apartments and the unit number. The problem lies in that in order to get the pass, they have to print, or photo-copy your documents so that they can scan them into the program. Apparently there is no other way for them to get the documents in the system. Now, I also had a gas bill that had been mailed, and several other statements and utility bills that are all done via email. (Who has bills mailed to them anymore when there is incentives from most major companies to forego physical mail in leu of email… Go green?!? So, I had several pieces of emailed bills, several of which clearly showed my address, along with a mailed gas bill, my driver’s license which reflected my address and my lease agreement. None of which they would accept. Anyway, they threw a fit after I pointed out how ludicrous they were being, and would not even consider my application since the lease agreement didn’t print with the address properly. And I didn’t have a second piece of Official mail that had been actually mailed. After arguing with them for nearly 20 min. (10 min to closing at 4:30pm), I realized that it was a dead-end. So, I asked for his supervisor. He gave me a card that had the UTA main number on it, this lead to an automated system. After realizing that was the case, I decided to ask the security guards out in the Main lobby for his supervisor’s name. Once he heard this, he tried to get the card back and deny that he told me it was his supervisor. And came back with a handwritten sticky-note with the aupervisor’s name and number. I have left several messages and am still waiting for a response. Long story short(ER) after this happened to me, I began asking around and I’m not alone in this. It reportedly has happened to numerous individuals. And several people I meat had similar stories. Small inconsistencies are used to deny residence these passes. The evidence shows the eledgability, yet they seem to be finding any little reason to say “no pass for you”. Sorry you had such a frustrating experience! Email slcgreen@slcgov.com, and we will get it figured out for you.